When Arthur Carr played his last first-class cricket match in 1934, it was the end of an impressive career which saw him play for Nottinghamshire for 25 years, lead England as captain and score 45 centuries. Yet Carr graced Trent Bridge little in the years after his retirement. The reason? 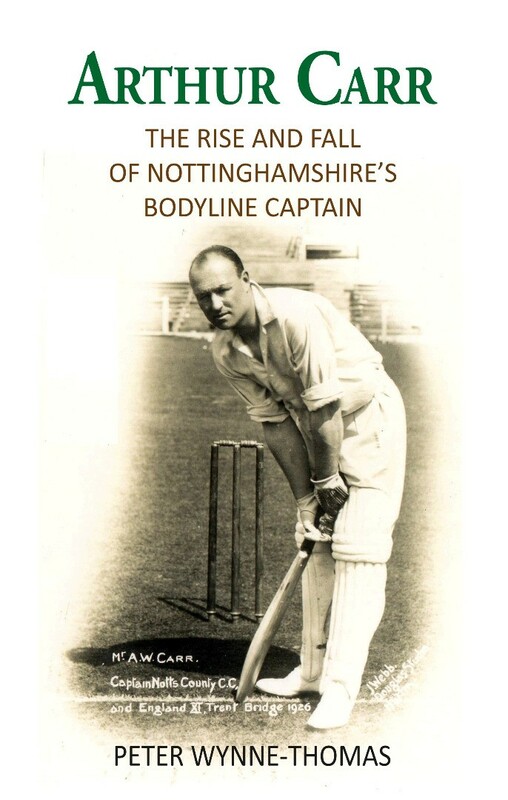 He was tainted by Bodyline – it was Carr who pioneered Bodyline bowling as the captain of Nottinghamshire and defended its use after the infamous tour of Australia. Winner of the County Championship, soldier in the Great War, Wisden Cricketer of the Year, inspiration for novelist Alec Waugh – Carr was far more than the instigator of a bowling tactic. Based on years of research, Peter Wynne-Thomas is bringing this forgotten captain – who could be both inspiring and alienating – back into the spotlight. Peter Wynne-Thomas has been Nottinghamshire CCC archivist and librarian for some forty years and is currently serving as the club’s President. Honorary Secretary of the Association of Cricket Statisticians and Historians for thirty-two years, he is the author of many books relating to cricket’s history. His Nottinghamshire Cricketers 1821-1914 won the Cricket Society Book of the Year award in 1971 and he was commissioned by Her Majesty’s Stationery Office to write The History of Cricket in 1997.